This year I achieved a major fandom goal. I finally made it to the Warner Bros Harry Potter Studio Tour in London! For three hours I was completely immersed in the wonderful wizarding world of Harry Potter. I got to relive the films, explore the actual sets used in the movies and try Butterbeer! It was everything and more that a die-hard Potterhead could want. Dust off the cobwebs on your broomsticks kids, it’s time to discover the Warner Bros Harry Potter Studio Tour in London! The first step to discovering the magical world of Harry Potter is getting your tickets. You will need to book these online before arriving at the studios. The tours happen at set times throughout the day, and only a certain amount of people are allowed in at a time. The next part of your magical journey involves getting to the studios. 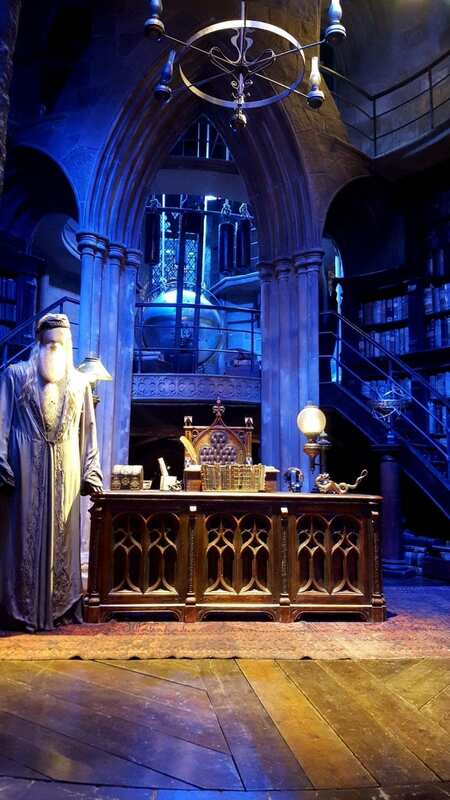 The Harry Potter Studio Tour is located 45 minutes from London. Use the Warner Bros Journey Tool to plan your trip via rail, car or shuttle. At the start of the tour, you will pass through the attic that Harry Potter lived in before entering a dark room. If you are a huge fan – make sure you sit in the front (trust me on this). After a brief film where Ron, Harry, and Hermione introduce the tour, the screen rolls up, and the doors to Hogwart’s Great Hall open. Now, this is why you need to be at the front. Before the doors become unlocked, the tour guide is going to ask three volunteers to help open them. Don’t let those little kids who weren’t even alive when the books were still being written stop you from achieving your fandom goals. Get to the front, put your hand up and open those doors. You deserve it. For all those countless Harry Potter movie marathon nights and hours spent learning the spells off by heart. This is your moment. Next, you will step into the Great Hall set they used for the films. Yes, 400 cast members were once stuffed into this singular room to film some of the most enchanting scenes in movie history. 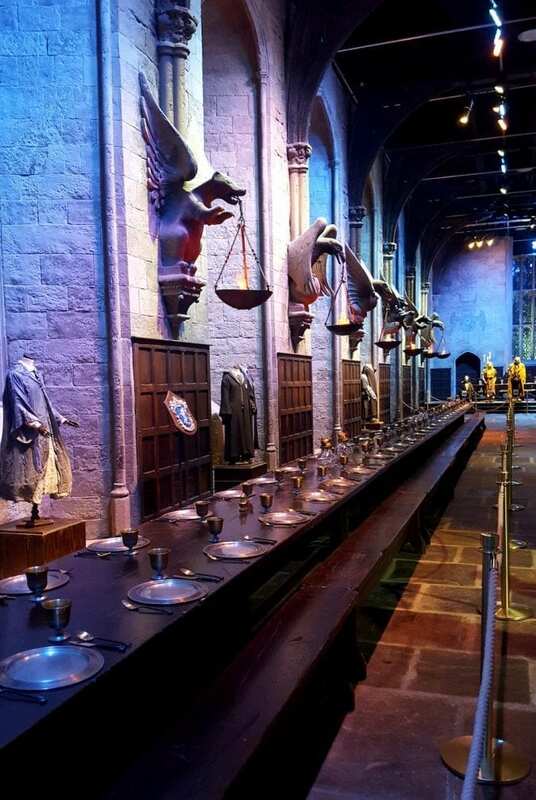 Inside you find all four houses, their crests, costumes, decor and the beloved Sorting Hat. Unfortunately, he has retired from allocating houses to students, so you’ll have to take an online “Which Harry Potter House Would You Be Sorted Into” personality test instead. Where all my Slytherins at? Holla at me in the comments! At the end of the hall, you find the Hogwarts teachers in some of their most memorable costumes. Mad-Eye Moody was always my favourite, after Hagrid, of course. The next part of the Harry Potter Studio Tour in London will see you exploring some of the interactive sets and props from the movie franchise. Would a Harry Potter tour be complete without Platform 9 ¾? Grab your owl and get ready to run straight into a wall! The part I loved the most about this part is that the train is the actual one from the movies and you get to go it! There is a Platform 9 ¾ shop that sells Chocolate Frogs, Bertie Bott’s Every Flavour Beans and a bunch of other trinkets centred around this part of the film. If you are a huge Harry Potter fan though (especially if you converting from a weak currency like the South African Rand), hold onto your pennies until the end of the tour for the Souvenir Shop. The next part of the Harry Potter Studio Tour in London is a delicious pit stop. If you have packed some food, now is the time to bring it out, and buy some butterbeer before heading out on your next adventure. The Back Lot includes some of the most memorable places in Harry Potter’s world. Catch a ride on the Night Bus, knock on the Dudley’s door, visit Harry Potter’s parent’s house and walk across the Hogwarts Bridge! Even though seeing the sets had me squealing like a teenage girl, this next part of the tour really had me excited. Apart from all the amazing human characters in the books, the creatures were always my favourite and what made the books so magical for me. The special effects section lets you see all the hard work that went into creating the intricate prosthetic masks and creatures in the films. You can expect to run into dragons, Buckbeak (don’t forget to bow), giant spiders, the book of monsters, Dobby and so much more! Okay. Getting to walk down Diagon Alley made my Harry Potter experience. After visiting the real-life Diagon Alley (one of the highlights of my 4-day London itinerary), my squealing went into overdrive. All the shops are there from Gringotts bank to the Ollivander’s wand shop, and Diagon Alley wouldn’t be complete without Fred and George’s infamous Weasleys’ Wizard Wheezes! The final part of the tour will take you through the set building process and character artwork. From tiny paper miniatures of film sets to the massive structure of Hogwarts, they built for all those far away shots in the movies. It’s just the cherry on top for any Harry Potter geek. It’s incredible to see the intricate prep work was put into every one of these films. I know it’s corny to call it a masterpiece, but that is what it feels like. As you exit the tour, take a deep breath and try to control yourself. You are about to step into the biggest Harry Potter Souvenir Shop you will ever see in your life. I’m warning you now – if you aren’t that great at adulting, bring a responsible person with you to hold onto your credit card. They have everything a fan could want. 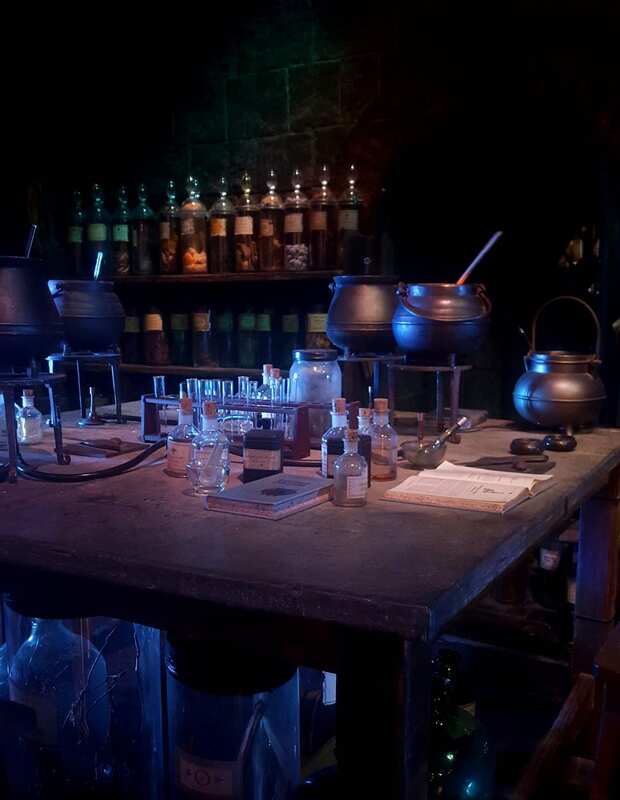 Picture yourself in a room surround by wands, scarves and jumpers in all the house colours, expensive movie memorabilia like Ravenclaw’s Diadem, key chains, necklaces, cups, stuffed toys – the list goes on and on.